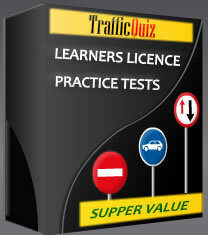 Download Learner’s Licence Practice tests. This downloadable Learners licence practice test software will assist you to pass the SA learners licence test. The software is made up of interactive learners tests with questions on rules of the road, traffic signs and vehicle controls. These questions were carefully developed to help you pass the learners licence test on your first attempt.